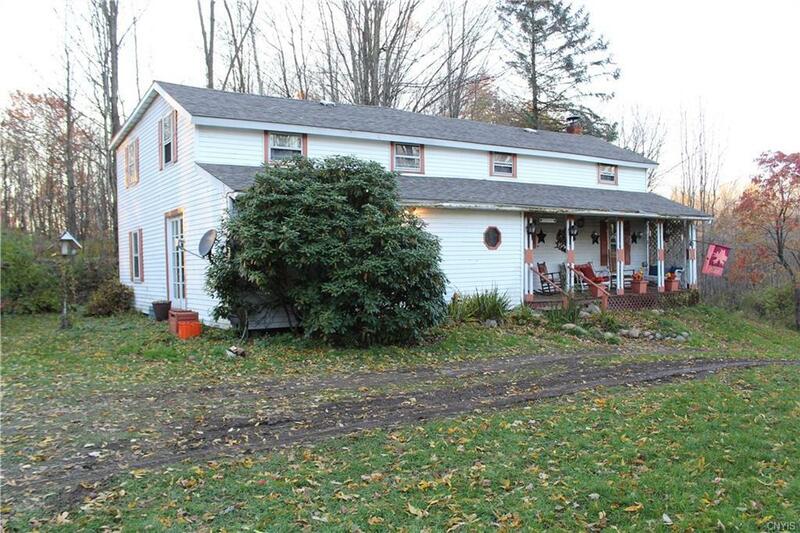 Charming farmhouse on 8.5 acres with barn. Original flooring throughout most of the home.First floor has 6 rooms: living room w/den, dining room, spacious kitchen w/brand new appliances & walk-in pantry, laundry room, master bedroom and full bath. There are 2 staircases leading to the 2nd floor, one from the foyer and one from the kitchen.Upstairs you will find 4 bedrooms and a bathroom.You have to walk through the 3rd bedroom to access the 4th.Roof is 6 years/hot water heater 7 and furnace is 9.Multiple outbuildings: 48'X24' barn, chicken coop, shed and a detached 3-season room w/wood burning fireplace. Rocking chair porch leads to enclosed porch/mudroom before entering the house. This property is peaceful and offers, trails to snowshoe, a nice big yard and plenty of privacy. Directions To Property: From Syracuse: Ny-31 West To Ny-176 North. Continue Onto Co Rt 7, Left On Co Rt 36, Right To Stay On Co Rt 36, Left Onto Pellet. From Oswego: Co Rt 7 For 11 Miles, Right On Co Rte 36, Turn Right To Stay On 36 Then Left Onto Pellet.